BERLIN (Reuters): A Munich-based start-up has taken advantage of the strong Bavarian sun this summer to test the final development of the charging system of its Sion car, an all-electric solar vehicle that lets you charge as you drive. Germany will likely miss its target of putting one million electric cars on the road by 2020, but the Government said in April that it was ready to offer support to companies that make batteries for electric vehicles. 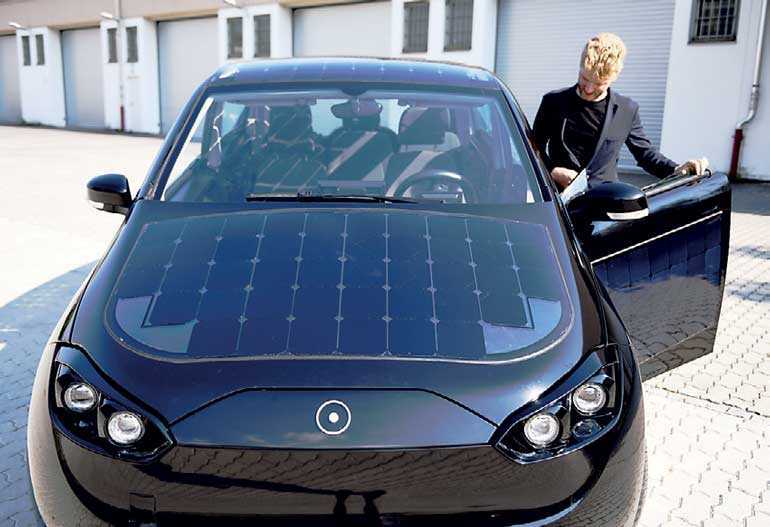 Sono Motors, founded in 2016, is developing the Sion, a fully-electric vehicle that has solar cells integrated into its bodywork. It can be charged via solar power or from conventional power outlets. Production will start in the second half of 2019 and the company has more than 6,500 orders which it aims to start selling at EUR 16,000 ($ 18,540) next year. Sion will have 330 solar cells attached to the vehicle’s roof, bonnet and sides, and its battery system will offer a range of around 250 km before it needs recharging. “We have a seat heater, there is air conditioning, there is a large infotainment system where I can also connect my phone interactively, which means I really have a full vehicle which is very simple and has no frills,” the start-up’s Co-Founder and Chief Executive Laurin Hahn told Reuters.